We know your business is important to you. 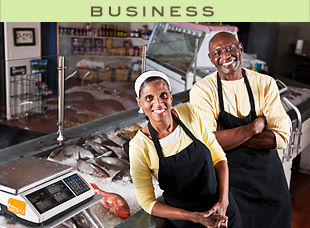 As the owner of a business you face tough challenges every day, but buying insurance should not be challenging. Eliminate the hassles and make sure your business is adequately protected with coverage through Vogley-Muskoff. We offer a broad market for all types of business and we understand the importance of developing a plan for continued financial security. Your Vogley-Muskoff agent will work with you to choose the right insurance and financial products for you and your business. We'll help you manage your risks so you can focus on keeping your business on the road to success. Get protected! Call 330-879-2303 or stop in to see us today. Welcome to Vogley Muskoff Insurance Agency LLC. As an Independent Agency, we strive to foster community-based relationships, by providing caring and personalized service. We represent several major companies that provide excellent claim handling. Should you experience an emergency after normal office hours, we provide customer service 24-hours / 7 days a week. • American Collectors and Philadelphia (Grundy) for your classic vehicles.